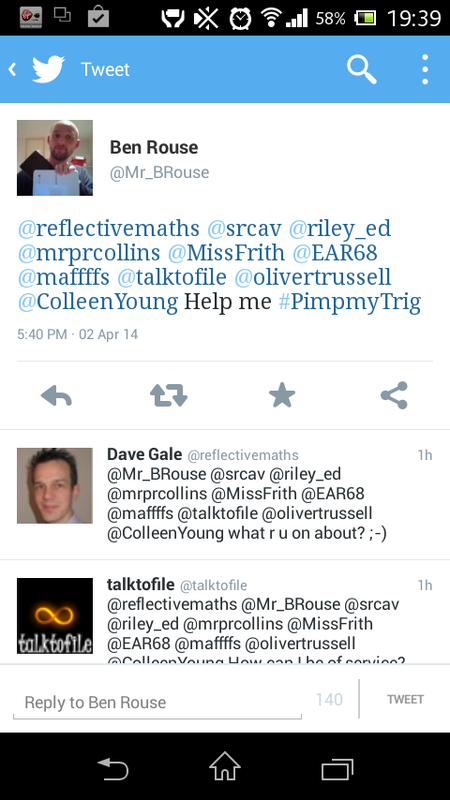 After some investigation it seems that the tweeter Ben Rouse (@Mr_BRouse) was engaging in a process of “pimping” some trig questions to make them “interesting”. Having seen a few of the exchanges after, and having looked at his links, I think he means add more context/make more practical. The questions he posted were specifically what I call “RAT Trig” (Right Angled Triangle Trigonometry), and didn’t include Pythagoras’s Theorem.